Do you need a new automatic garage door opener? Installing one of these convenient mechanisms keeps you out of the rain and makes coming and going easier. Our experienced technicians will take care of the project from start to finish. We have years of experience installing garage door openers in Portland and Vancouver homes, and we’ll help you choose the right opener for your garage. Has your garage door quit working? Is it stuck in the down or up position? It’s incredibly frustrating to have a garage door that won’t move up or down. We can help. We’ll inspect your door and find the problem. We set misaligned eyes straight, replace worn out gear and work magic on frazzled wiring. Why buy a new opener if you don’t need to. We’ll save you money by repairing the device you already own. 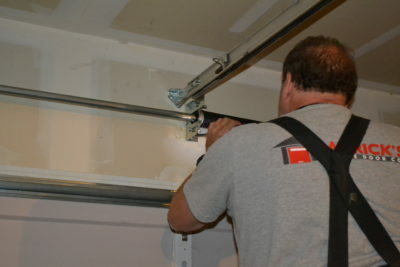 We provide repair, install, and sales of garage doors in Portland Oregon. We also service garage door openers and remotes. We offer free, no-obligation quotes for all of our services and we know our prices won’t be beat! Services are available in Portland, OR and surrounding areas. Today’s automatic openers are designed to guard against accidents. Safety eyes mounted on either side of a door detect objects in their line of vision. Reverse mechanisms cause the door to go back up if there’s something on the floor obstructing the path. These two features work in conjunction to prevent garage doors from coming down on people, pets or property. Federal law requires automatic garage doors made after 1993 to have both sensors and reverse mechanisms. We recommend replacing an opener if it isn’t equipped with these safeguards. Our technicians will inspect your door, and tell you if the old opener should to be replaced. Garage doors are easy to maintain. A yearly lubrication of the springs, hinges and rollers and periodic cleaning of the safety eyes are things you can do on your own. It’s a good idea to do be familiar with your door’s parts and operation. Do this with a quick visual examination of your door each month. If you notice any problems, call us. Patrick’s Garage Doors is happy to assist by inspecting your door and testing its safety features. Garage doors can be hazardous if its components fail. A well-maintained door decreases the risk of damage to vehicles or injury. We guarantee the quality of our work and take pride in friendly customer service. 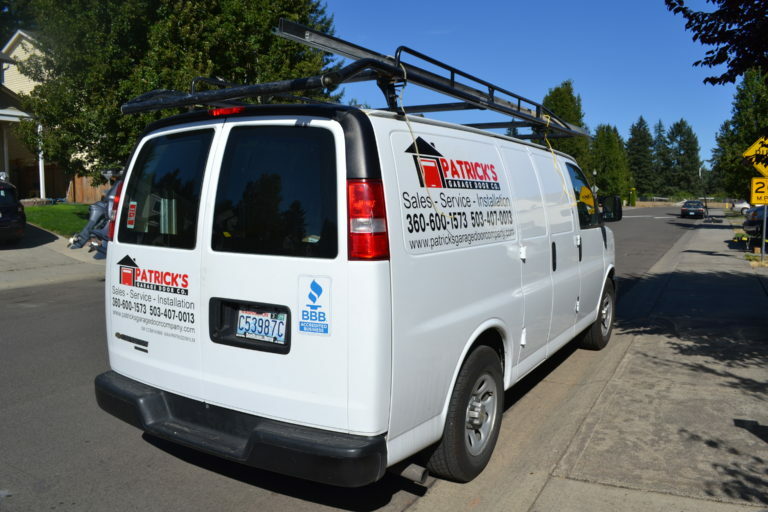 Contact Patrick’s Garage Doors today for a free estimate.